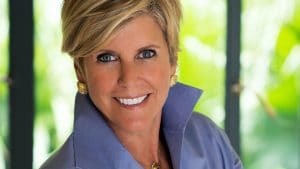 Suze Orman’s latest special focuses on her helping individual viewers “find financial solutions for you.” As always, Suze’s advice is based not just on numbers, but on a critical understanding of ourselves and our emotional needs. The special’s central theme is that our financial decision-making should be guided by an understanding of “the goal of money.” As Suze perceptively defines it: “The goal of money is to make you feel secure.” Financial solutions should work to fulfill that goal. In addition, Suze stresses the importance of making financial decisions that you feel comfortable with. Financial problems are caused when you do things with money that do not seem “right” to you, despite pressures and advice from others. On CPTV: Friday, March 15, 2019 at 9:30 p.m.